Please do not rip my wallpaper and place on some other site w/o asking first. i believe she's from "After Sweet Kiss"
i like angel wallpapers, i'm an angel, ur an angel, anyone can be an angel if they believe in angels. 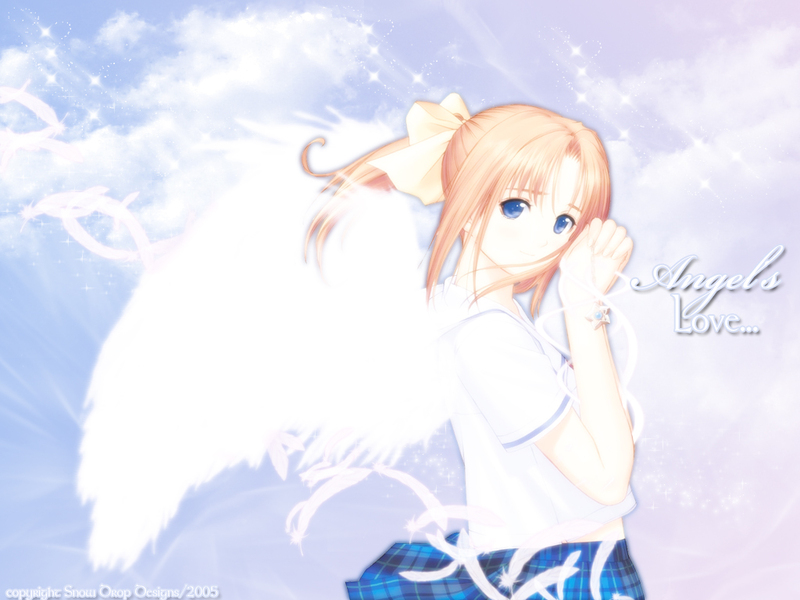 i love the wings, feathers, and the sky bg. The girl is so beautiful. I really like the background. It is so peaceful. Thanx for sharing this. I will add this to my fav. Another awesome work Kaylessa. Fav'ed. nice wall, I like the light/brightness of the image and BG, it gives off a heavenly feel. ^^ Love the wings! Great job!